Many of our so-called “smart” technologies don’t fit the strict definition of the word “autonomous,” often used to describe them. Today’s smart automobiles, aircraft, medical devices, manufacturing and energy systems, monitors, sensors and household appliances fall short of being fully autonomous — that is, operating completely without dependence or control from anything outside of itself. “These are really automated systems, some with machine-learning components,” says Georgios Fainekos, an associate professor of computer science in Arizona State University’s Ira A. Fulton Schools of Engineering. This is an important distinction in the focus of the research Fainekos has been leading since 2013 with support from a National Science Foundation CAREER Award. NSF CAREER awards support university faculty members early in their careers who demonstrate capabilities to be leaders in their fields in both education and in advancing research and discovery. Fainekos is advancing complex automated systems through improving the dependability of the software of small computers that trigger mechanisms — or “actuators” — in cyber-physical systems. Those systems, which make up the essential infrastructure of much modern technology, integrate computation with physical processes controlled by both cyber and physical components. Embedded computers and networks monitor and control the physical processes. 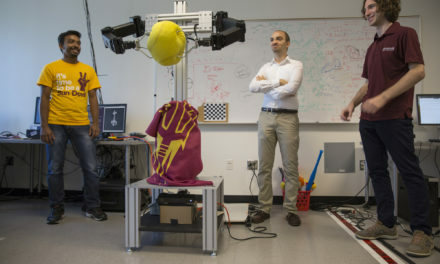 The engineering challenge is to optimize the performance and guarantee the operational safety of these embedded computers in activating appropriate functions in response to their surroundings, says Fainekos, who directs the Cyber-Physical Systems Laboratory at ASU and is a research affiliate with the university’s Center for Embedded Systems. Think, for example, of an automobile equipped with an array of automated systems — adaptive cruise control, emergency braking, lane keeping and so on. In reaction to whatever is happening in the immediate environment, the actuators in those embedded systems must decide between various courses of action — accelerating or decelerating the vehicle, hard braking, gradual breaking or making collision-avoidance maneuvers, for instance. Assessments of the situation essentially travel through a cyber-physical network from the sensing systems to the embedded computer processors. Using the systems’ measurements of spatial factors, the processors “have to work fast and compute in real time to determine the next actions of the vehicle,” Fainekos says. “Our goal is to make sure that the algorithms running on the embedded processors are adjusting the performance of the vehicle in the ways needed to maintain safety,” he says. The overarching mission of Fainekos’ research project has been devising new and improved techniques and methodologies to test the abilities of the cyber-physical systems. Significant steps are being made toward that objective. Fainekos says his lab team, collaborating with other researchers in industry and at other universities, has “proven the efficacy and the value” of their new testing methods for automated systems in unmanned aerial vehicles and medical devices. “A major breakthrough is our demonstration of the feasibility of mathematically expressing and testing safety requirements for complex cyber-physical systems. Before our work, the results on tests of the systems were limited in scope,” Fainekos says. The team is also working with the major international carmaker Toyota to develop effective testing for embedded processors and cyber-physical systems in automobiles. Several other companies are now using the mathematical testing and analysis tools developed through the team’s research. There has also been progress toward streamlining processes involved in performance testing and assurance, as well as making those processes less expensive to complete. Next, Fainekos and his team want to lay the groundwork for advancing their analysis, testing and verification processes from the laboratory to industrial-scale operations. If that can be done, it could help prevent the kinds of embedded systems design flaws and testing errors that can potentially cost industry billions of dollars due to product defects, he says. The project is also advancing education in the field. Fainekos is developing curriculum to teach both students and professional engineers more about cyber-physical systems. He is already integrating much of what has been learned from his research into undergraduate courses. The NSF award funding has also supported research training for a number of graduate students by enabling them to work in the Cyber-Physical Systems Lab. Cumhur Erkan Tuncali, a computer systems engineering doctoral student, has been instrumental in demonstrating the value of software tools in testing automated driving systems. Tuncali and Adel Dokhanchi, a recent ASU graduate who earned a degree in computer science, helped to establish the value of formal requirements to analyze the performance of perception systems for automated driving systems. 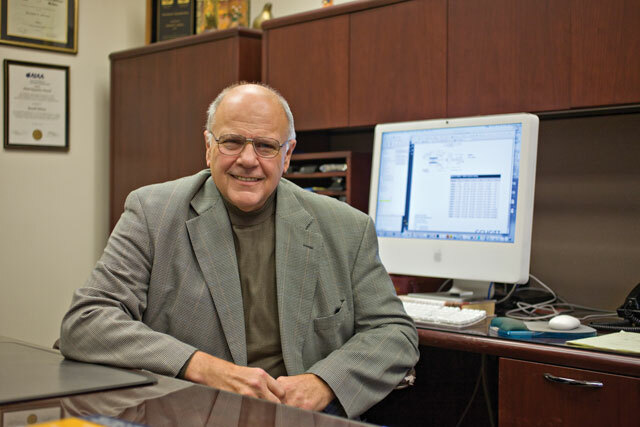 The project has benefitted as well from collaborations with Fainekos’ fellow faculty members in the School of Computing, Informatics, and Decision Systems Engineering, one of the six Fulton Schools. Assistant Professors Heni Ben Amor, Ted Pavlic and Giulia Pedrielli have applied their knowledge and skills to aspects of the research requiring advanced expertise in machine learning, robotics and optimization of complex systems. Fainekos foresees long-term support for the research beyond the CAREER Award funding. Anticipation of the potential impact of the work is demonstrated by interest from research journals and professional conferences. That interest has led to presentations on the research at two prominent events organized by the Institute of Electrical and Electronic Engineers — commonly known as the IEEE: the IEEE International Conference on Intelligent Transportation (“Utilizing S-TaLiRo as an automatic test generation framework for autonomous vehicles”) and the IEEE Intelligent Vehicles Symposium (“Simulation-based Adversarial Test Generation for Autonomous Vehicles with Machine Learning Components”). Another presentation was made at the International Conference on Runtime Verification (“Evaluating Perception Systems for Autonomous Vehicles Using Quality Temporal Logic”). Long-time research collaborators emphasize the importance of knowledge Fainekos is helping to produce. Sriram Sankaranarayanan, an associate professor of computer science at the University of Colorado Boulder, says the work “will have a very real impact in testing autonomous self-driving cars” and in testing other technologies — such as a device to deliver insulin to diabetes patients that Sankaranarayanan and his research group are developing. 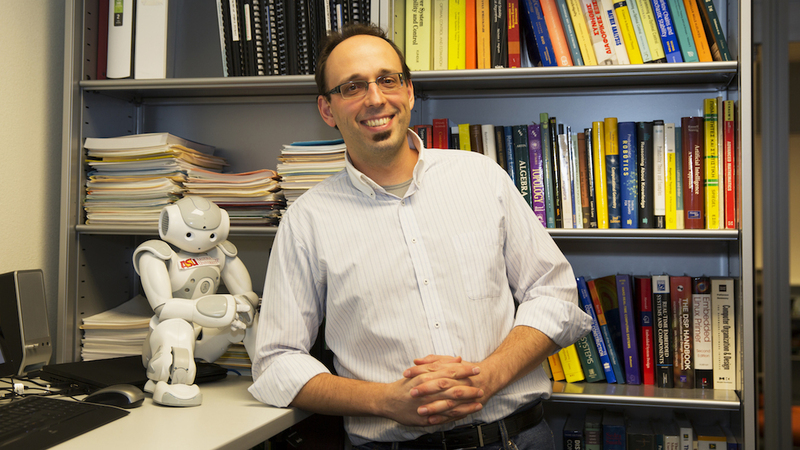 He also credits Fainekos and his student researchers for “pioneering new ways of thinking about how to design, test and debug cyber-physical systems,” advances that will have applications in avionics, robotics and artificial intelligence systems. Fainekos’ progress on improving specifications and evaluation of cyber physical systems “are one of the main foundational pieces of new methodology and tools our organization is developing with the goal of achieving autonomy with high-assurance guarantees,” says Mauricio Castillo-Effen, who leads Trustworthy Autonomous Systems operations at Lockheed Martin’s Advanced Technology Laboratories. “We constantly monitor the scientific work [Fainekos] produces, because it provides a constant stream of creative ideas and inspiration,” he adds. Castillo-Effen also lauds the “intellectual impact” he is seeing Fainekos’ work have through former students who are now Castillo-Effen’s colleagues at Lockheed Martin. “They are already generating important contributions to the field of cyber-physical systems,” he says.